Having a 3’ tall Giant Tulip of your own design would be wonderful wouldn’t it? Good thing we have this class! 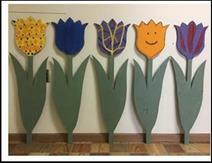 You will be able to design and take home your own Giant Wooden Tulip!! Pre-registration is require, call 641.628.4571 or stop by the office at 712 Union St.